Rajeev Misra is Sr. Manager – Pre Sales at R Systems and responsible for Bid Management, Solution Consulting, Portfolio Management and Methodology Practices. Prior to joining R Systems, Rajeev worked in software development and Pre Sales at several companies including Infopro, Binary Semantics and Prosoft Technologies. 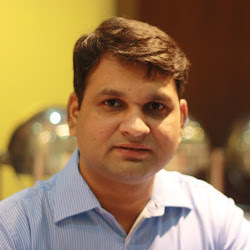 Rajeev holds a Masters degree in Business Administration from Apeejay Institute of Technology, Greater Noida, a Post Graduate Diploma in Advanced Computing form CDAC, Jaipur and Graduate degree in Maths and Computer Applications from Rohilkhand University, Bareilly.